By Alston Sleet (LitRPG Author) Shawn Bradshaw has made a desperate gamble. To save his life he risked it all in an attempt to become digitized. 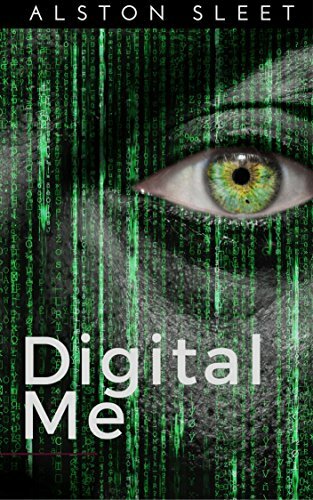 Knowing almost nothing about the greater Digital community or if he will be allowed to join, how Digital existence is experienced, or even if he will be relegated to a Digital zoo. Shawn’s success in obtaining immortality is but the start of his journey. Thrust into the kingdom of Loson’s political intrigue, friends become enemies, allies manipulate and control, Shawn must decide how much assistance he is willing to let his allies provide and if he wants to count them as enemies instead. Oblivious and ignorant of the culture, manipulated, reveling in his new found freedom even as he is chained socially, Shawn must decide on his long term goals and what he is willing to give up to achieve them. The Immortal Wizard must decide what kind of legend he will leave behind. This title is LitRPG Lite, status screens, skills, and items exist but are not the focus of the story.